[because it’s 80 rods E.N.E. of a former R.R. Station]. Cemetery is near the S.E. corner of S.W. 1/4, S.W. 1/4 of S.24, T.27 N., R.1W., 2nd IN. P.M., JEFFERSON Township, W. CASS County, INDIANA. On 11-Nov-1940, found the cemetery located in the S.E. corner of a large grove of Sugar-Maples on the CALEB BANTA FARM. The farm is north of what is commonly called the [“Effner” or “ Peoria ” or State-Line”] branch of the Pennsylvania R.R. ; [abt. 500 ft. W]of the Chicago Line of that same R.R. & only a few ft. N. of & along the N. edge of U.S. Highway 24 [ Logansport-to-Monticello ]. Cemetery is almost 2 1/2 miles straight E. of Lake Cicott & is the most Southern of all of Indiana ’s natural lakes, lying 1 1/2 mile N. of the Wabash River & 5 miles W. of Logansport. The cemetery is a little over 3/4 mile W. of Noble Township line. 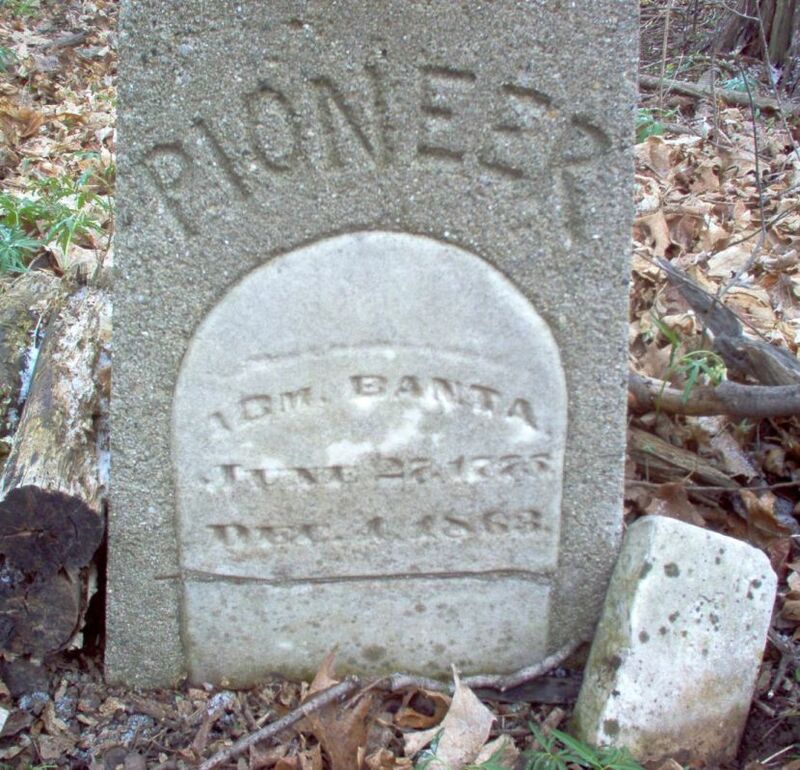 Notes: This cemetery should not be confused with the William BANTA Cemetery which is in the same West 1/2 Section but has its own cemetery report. 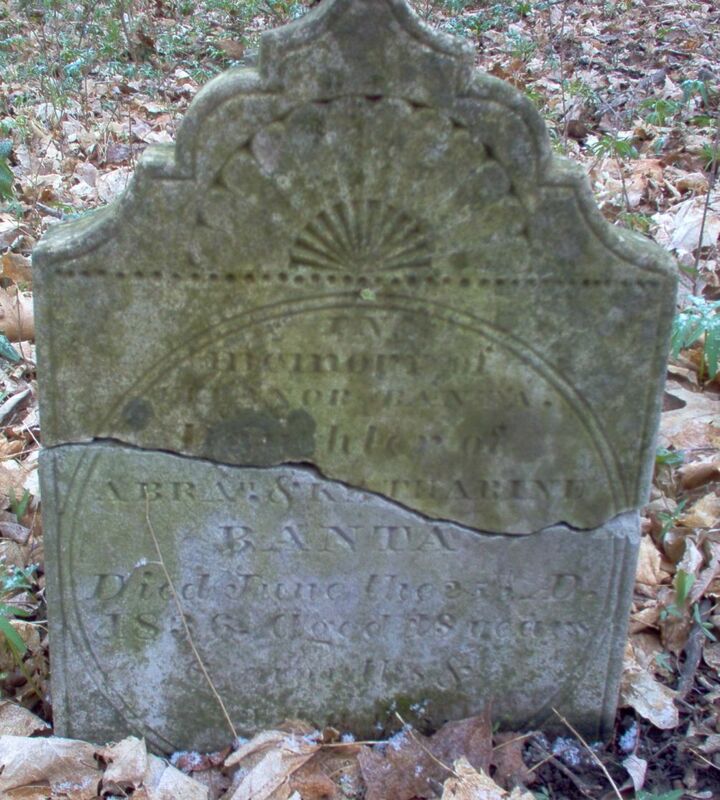 Local Historian, Dr. Jehu Z. Powell is the authority for the statement that “This cemetery contains a number of unmarked graves & that it contains the graves of two children who died in 1835 who were surnamed BAUM.” [Note: perhaps children of pioneer George Baum.]. It is likely that some of the early interments here were those of persons surnamed HUGHES or HUGHS [WILLIAM HUGHES?] for this land is said to have belonged to a person by that surname when set aside for burial purposes. This report was input by Pat Fiscel March 2007 for the Cass County INGenWeb Project.